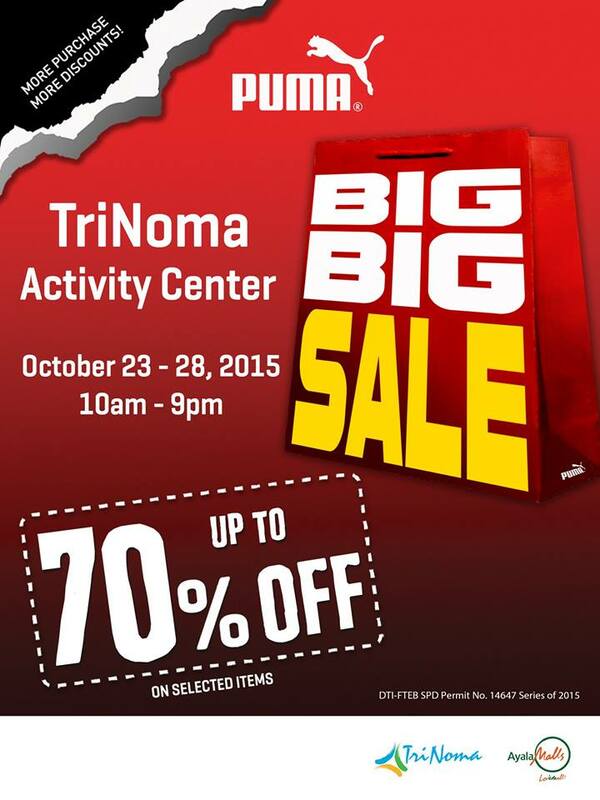 If you are planning to cap the weekend satisfying your sole, head over to Trinoma Activity Center as Puma is currently having a big sale. The sale items can offer as much as 70% discount so this could be a good time sneaker-hunting for some classic silhouettes from Puma. The sale started last October 23 and will end until October 28, 2015 from 10 am up to 9 pm. If you have questions, you can check out their facebook page by clicking <HERE>.